Automotive Photography for online and print work. Robert Monteleone is a passionate Adelaide commercial photographer with 20+ years of experience in automotive photography for brochures, magazines and websites. Robert likes to discuss with his clients in advance of the photo shoot the style of photography they require, who will be involved, and what the images will be used for. We are flexible with locations around Adelaide, the Adelaide Hills, the Barossa Valley, etc. Our own studio in Adelaide utilises professional lighting suitable for a variety of automotive product photography, but most of our car photography and bike photography work is shot on-location around Adelaide. Any type of inquiry welcome. Contact Robert by phone 0438 346 788 or Email. Satisfaction and quality Guaranteed! Professional Product Photographer in Adelaide suitable for advertising, websites, & print. From 1992 to 2006 Commercial Photographer Robert Monteleone was privately employed in a marketing role. Advertising Photography and computer graphics was a major part of his work. Tasks included designing and photographing the company’s multi award winning website, product brochures, posters, press releases, and advertisements. He was also a regular supplier of automotive photography, Hi-Fi audio Photography and content to popular Australian motoring and Car Audio magazines. From 1995 to 2005 Robert was also responsible for designing, editing and photographing a popular automotive magazine-catalogue publication known as CAR TOYS, with a print run of 15,000 copies per year. 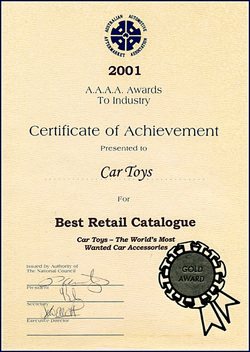 The retail publication sold in newsagents nationally, and won the Australian Automotive Aftermarket Association's Best Retail Catalogue Award in 1996, 1997, 1998, 2001 & 2002.